The mission of Behind the Badge Foundation is to honor law enforcement officers who have died or suffered serious injury in the line of duty. We serve as a trusted resource, providing immediate and ongoing support to families, agencies and communities in times of critical need. 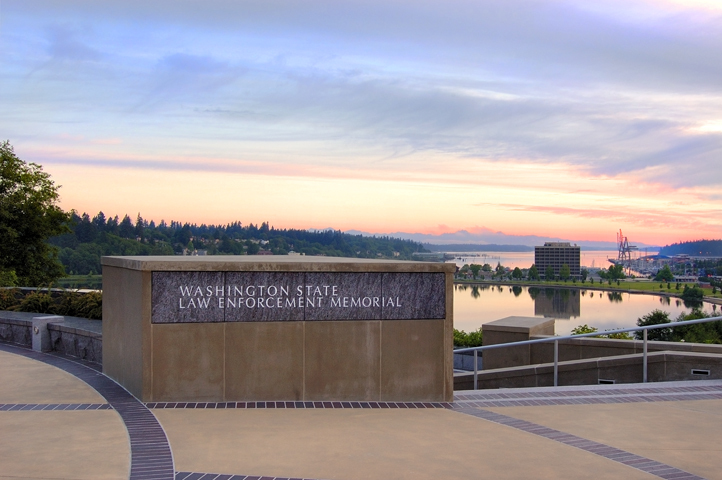 We also maintain the Washington State Law Enforcement Memorial, commemorating the lives and dedication of officers who have died in service to our state. Behind the Badge Foundation provides comprehensive support to Washington State’s law enforcement agencies, families and communities after an officer has died or suffered serious injury in the line of duty.  Behind the Badge Foundation serves survivors of a line of duty death. (Spouses, children, parents, siblings, significant others, in-laws, affected co-workers and chaplains.) Behind the Badge also serves law enforcement officers who continue to serve and protect our communities, and their families. We are a trusted resource for the law enforcement community during times of critical need. Our experience and resolve allow us to act swiftly and thoroughly in the midst of crisis. Because we have walked in their shoes, we bring compassion and understanding to communities rocked by tragedy. We connect individuals and families with a broad network of ongoing support, providing comfort and security when it’s needed most. We are the creators and stewards of the Washington State Law Enforcement Memorial, commemorating the lives, work and dedication of officers who have died in service to our state. The dream of a state Law Enforcement Memorial began 1995 when a number of surviving family members and law enforcement officers traveled to Washington, D.C. to visit the National Law Enforcement Officers Memorial. At the time, 35 states had law enforcement memorials honoring officers who made the ultimate sacrifice. Washington State did not. The need to honor Washington heroes was recognized and the dream began. With enthusiasm and bull-dogged tenacity, Sgt. Frank Kampsen (Seattle Police Department and Honor Guard Commander) assembled a group of talented people to begin the 10 year journey to build a state memorial. Location, funding, architect, permits and – oh… non-profit status! The Foundation incorporated in 1997 and was known as The Washington State Law Enforcement Memorial Foundation. Founding board members; Frank Kampsen, Roger Dixon, Robert Veliz, John Mansfield, Mark Sterk, Mark Lorbiecki (attorney) and Mike Patrick. Ten years of grass root efforts like events, selling logo items, booths at local fairs prevailed. January of 2005 saw the release of the Law Enforcement Specialized license plate. In May of 2006 the Memorial was dedicated to the citizens of the State of Washington. Strong financial support and mentorship were given by Bruce and Jolene McCaw and the Apex Foundation. Their respect for the sacrifices made by law enforcement professionals continue to be shown time and again. Supporters too numerous to name have given their time and finances. The Washington State Department of Enterprise Services (DES) (the state agency responsible for the buildings and grounds on the Capitol Campus) prepared the location for the Memorial by stabilizing the construction site, building the Memorial’s retaining wall and landscaping the hillside immediately below the Memorial. DES also constructed a walkway, on the hillside, that enables pedestrians to access Heritage Park, Capitol Lake and downtown Olympia from the upper Capitol Campus grounds. DES has given untold hours of labor towards construction of the Memorial and has donated financially to portions of the project that enhance the Memorial, the Capitol Campus, and Heritage Park.